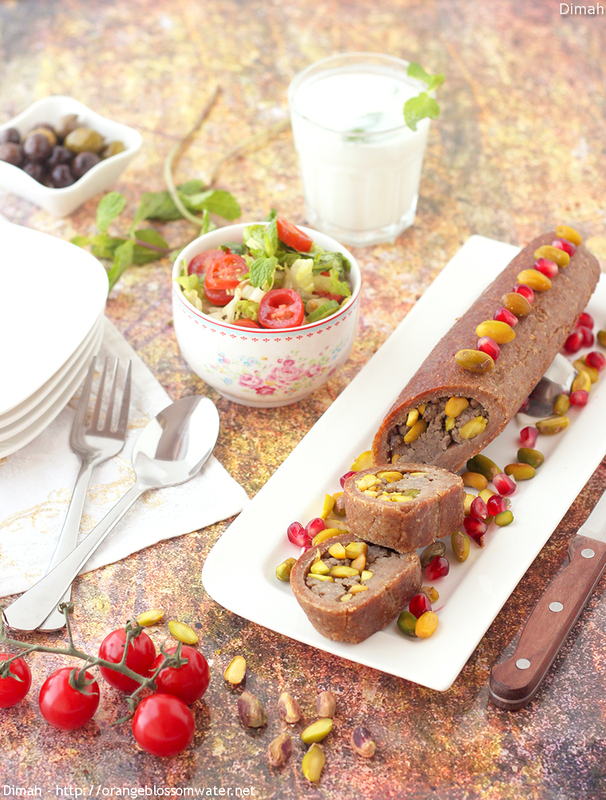 Kibbeh Mabroumeh (Rolled Kibbeh / Kibbeh Roll), an authentic Aleppine dish. It is kibbeh dough stuffed with a mixture of ground meat and pistachios, then rolled into a log and baked in the oven. Mrabba Al-Bathenjan Al-Halabi (Aleppine Eggplant Jam) is slightly different from previous Mrabba Al-Bathenjan. 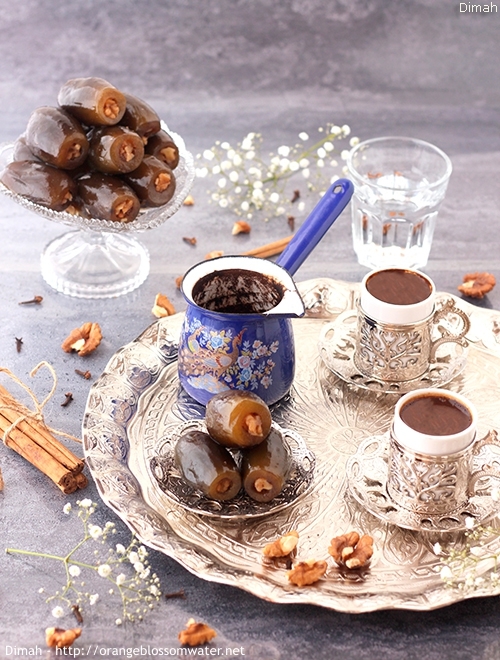 Mrabba Al-Bathenjan Al-Halabi is flavored with cinnamon and clove, stuffed with chopped walnuts and served as a dessert with coffee, while Mrabba Al-Bathenjan is served for breakfast with bread and cheese. The Syrian pistachio tree is known since Assyrians age. The origin of this tree goes back to Al-Batim Tree in the Mediterranean sea basin and Middle East regions; however, the original place of the Syrian pistachio is Syria (Ein Al-Tina). Many references refer to this kind as (Pistachio – Pistacia vera L.) known since 3500 years BC in West Asia and “Great Syria” countries. The Aleppo pistachio is attributed to Aleppo city which is the traditional area for planting this tree since long ages; therefore, whenever Aleppo city is mentioned, we have to mention the Aleppo pistachio (Fustuq Halabi). In Aleppo, the pistachio blossomed producing a dozen varieties, a unique diversity. These varieties differ both in the color and the size of the fruit on the tree. As the taste and scent, the soil and position of the trees provide the variations. 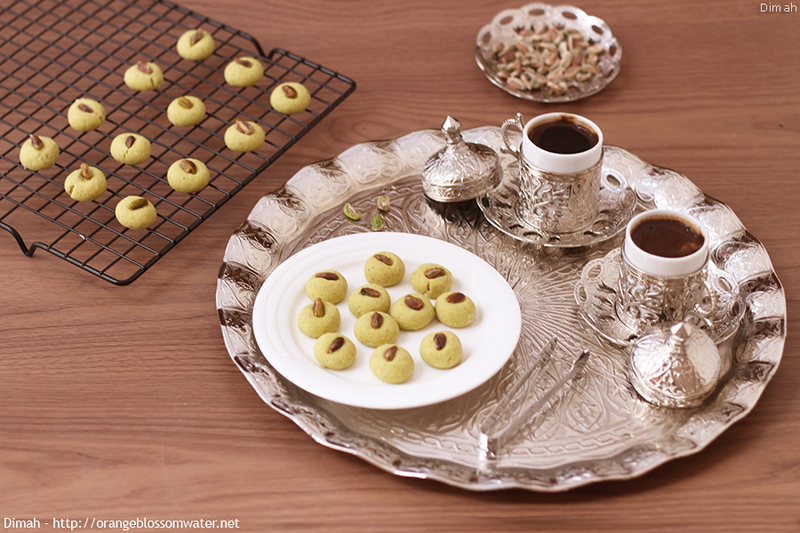 Pistachio is important ingredient in the traditional cuisine of Aleppo. Ghraibeh is a shortbread type biscuit, and today’s recipe is Ghraibeh Bel-Fustuq Al-Halabi (Pistachio Ghraibeh) which is similar to original Ghraibeh but made with pistachio. Aleppo is the famous city of Za’atar, one of the most important blend of any Syrian home’s pantry. Aleppian Za’atar has a different element from other neighboring countries. 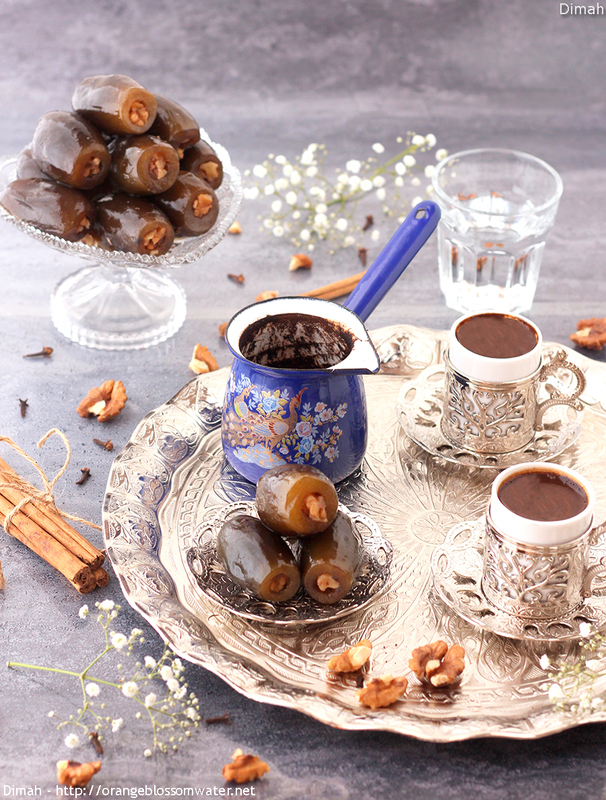 It is based on mixture of crushed spices and roasted nuts mixed with sumac and toasted sesame seeds. The blend of ingredients varies from one spice dealer, or ‘Attar to another. Za’atar Halabi is usually prepared in September, and because it is widely available commercially people do not bother making it at home. In Aleppo, people used to buy Za’atar from Al-Madina Souq which is now destroyed and burnt as result of the war. 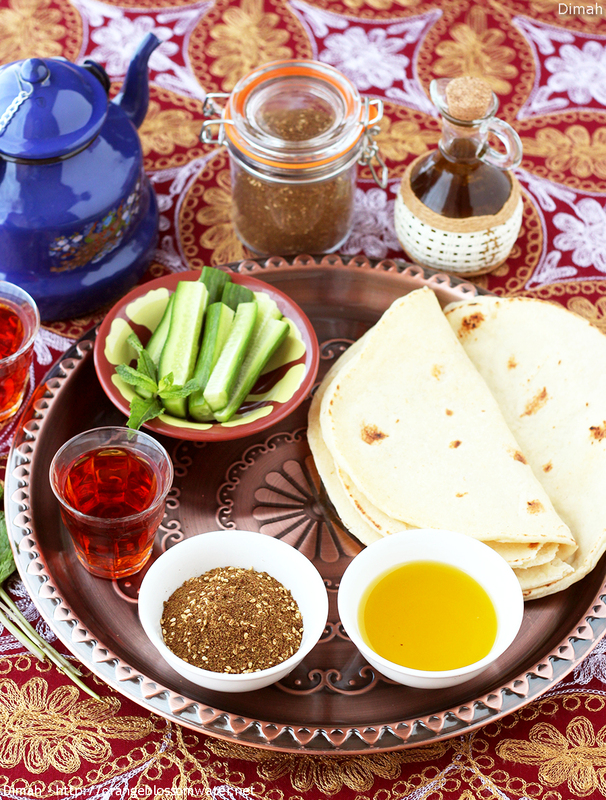 Za’atar Halabi is always a part of Syrian breakfast table. It is eaten by dipping a piece of bread in olive oil first then dipping it in Za’atar. Za’atar Halabi is not used for manakish (only Jordainen, Palestenian, and Lebanese Za’atar are used for manakish). Mehshi Al-Burghul is summer recipe in Aleppo. 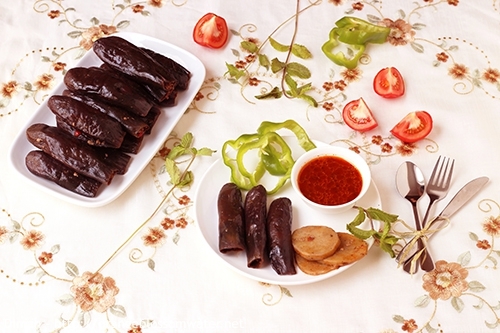 It is eggplants stuffed with bulgur and vegetables, and prepared in two ways, either with meat or without meat. Mehshi Al-Burghul Bi-Zeit Az-Zetioun is the one without meat.